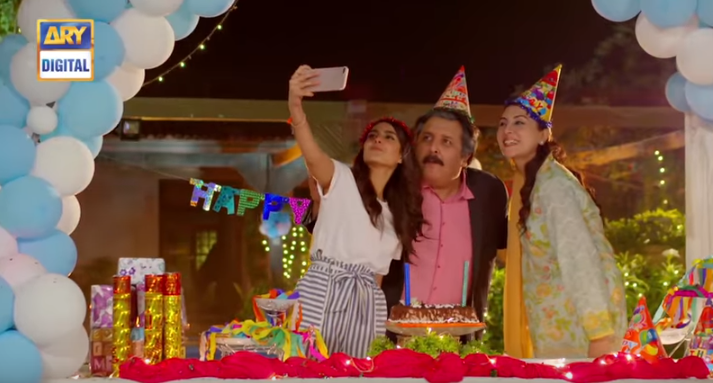 Brought up with love and care, Heer, played by Iqra Aziz, is a daddy’s girl. Heer’s father doesn’t leave any stone unturned to fulfill all her wishes being her ultimate ideal. Heer is a girl who loves to celebrate every moment of life. Jamal, Heer’s class fellow is played by Bilal Abbas Khan who is shown as a poor boy working at a restaurant to earn money for his fees and living. Bilal, is the most studious guy of the class, often referred to as a bookworm by Heer and his most of his class fellows. Jamal and Heer interacted in their class where Heer found out him to be very smart in studies. Heer lost her phone in the class,accusing Jamal of stealing her phone and checking his bag. Her friend comes and tells her that her phone is with some other guys who are checking her pictures. Heer finds herself guilty realizing the truth and apologizes to Jamal. Heer, with her parents went to a restaurant where she finds Jamal working as a waiter, she asks her parents to leave because if Jamal will find them there he will be embarrassed. Heer’s dad despite of leaving the restaurant calls Jamal and praises him for his hard work. 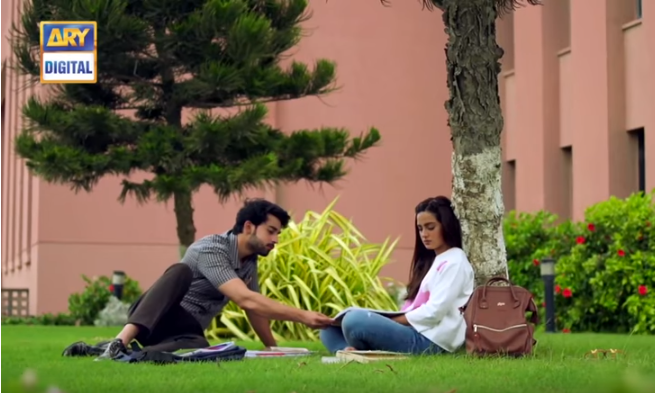 The next day Heer meets Jamal in the university and asks him to teach her as well. At this point you will find Heer becoming serious about her studies. In lunch break, few boys tried insulting Jamal tearing all his notes. Heercomes to his rescue taking all his notes, fixing them and later went to Jamal’s house to return them to him. They both became friends and started studying together where they were also seen getting along well sharing some cute moments between the duo where Jamal is staring at Heer adorably while she is sleeping in between studies which gives us a hint that Jamal has started liking Heer. Heer got 2nd position in exams , Jamal secured 1st.They both went to a mall for shopping where Qaiser Khan saw them and inquired Heer about who he is. Qaiser Khan is the son of Ghulam Rasool, the family who brought up Heer’s father . 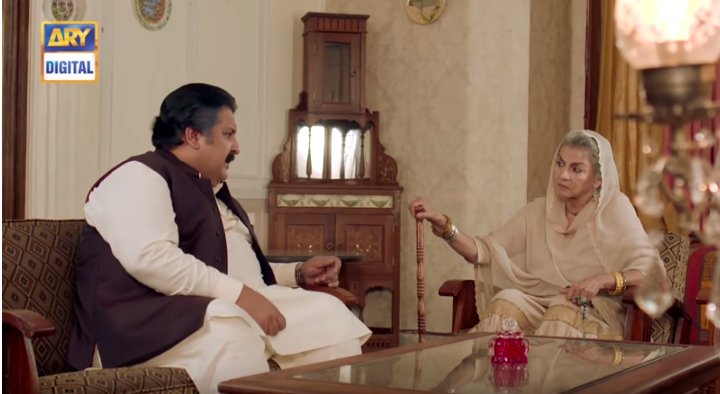 When Heer was only 2 days old,Ghulam Rasool decided to make her his daughter in law wanting to marry her to Shahmeer (Qaiser’s younger brother) when they grow up.Heer on finding this out, panicked and asked her father to end the relation. The next day Heer met Jamal and to tease him she told him that she is getting married to her cousin, this made Jamal upset but he tells Heer that he is not deserving of her, to which Heer gets angry and goes away. Heer’s father went to the village to end the childhood relationship where Amma Jan after hearing this becomes angry. Where will Jamal and Heer story lead to? How will Heer’s father react to the matter after amma Jan gains consciousness and what will be Shahmeer’s reaction on knowing all this. Watch all this and more in next episode of Qurban. Every Monday at 8 PM.